Some times you just need to throw the script out of the window… Forget who may and who may not be race favourite and just let things play out like a piece of impromptu art. 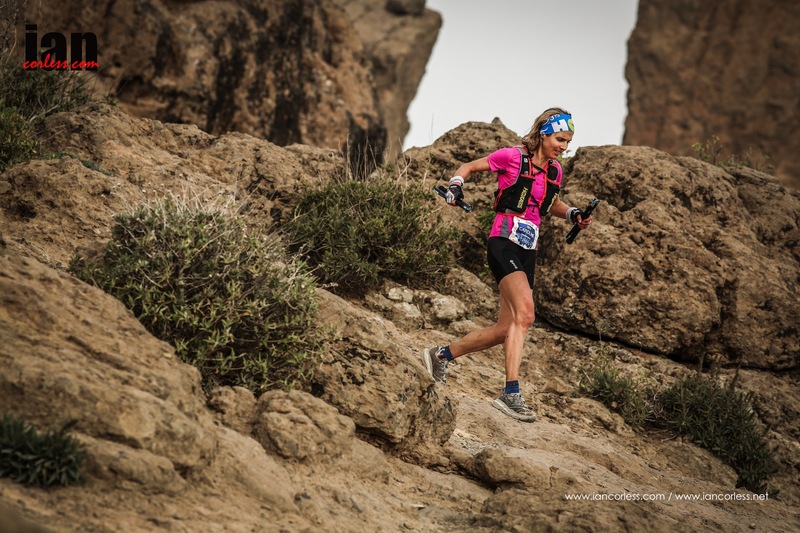 The 2015 Transgrancanaria certainly threw some curve balls! 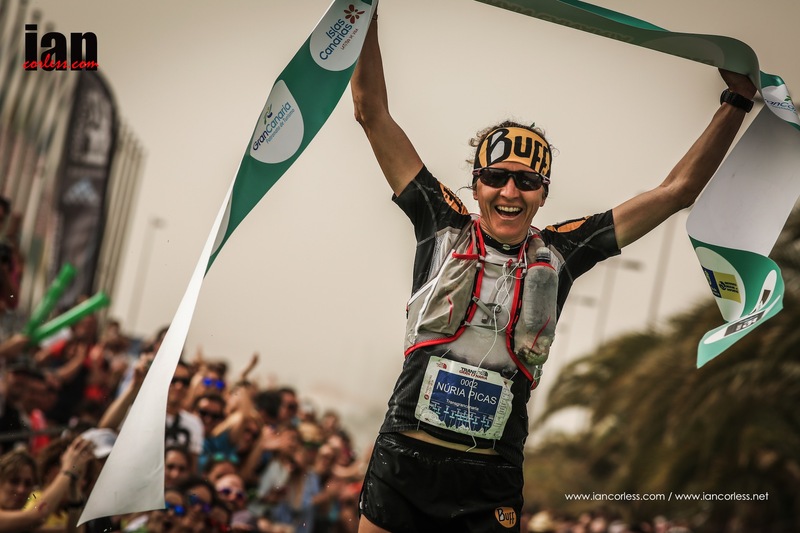 In the ladies race, it was business as usual for the 2014 champion, Nuria Picas. Biding her time in the early stages, Nuria took over the front of the race with approximately 90km to go and never really looked back. Running through the night the Catalan felt good but commented on how hard the trail was. As she ran to Roqué Nublio and to El Garañón she looked tired and weak. Post race Nuria went on to say, ‘I felt weak because of a lack of meal but luckily I could overcome it.’ And overcome it she did but it was no easy victory. With dawn came the heat of the day and a ‘calima’ that dried the throats of each and every runner. Crossing the line, Nuria saluted the crowd with another high quality victory and following on from a podium place at HK100, the stage looks set for another great year in the UTWT series. Nikki Kimball and Fernanda Maciel were expected to take up the remaining podium places but delayed travel and fatigue ruined Nikki’s race and Fernanda had no power and strength after her extended time (45-days) at Aconcagua. This opened the doorway for Caroline Chaverot who ran a strong race, maybe a little too strong at times as she certainly went through some bad patches, ultimately though she crossed the line in 17:16:48 for a quality second place. The men’s race had all the makings of a classic and boy-oh-boy it did not disappoint. 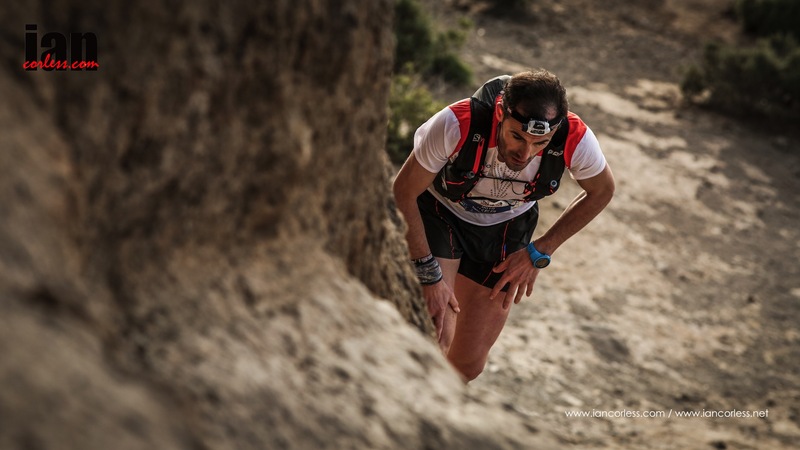 The race had everything… broken femurs, dehydration, heat exhaustion, stomach issues and basic good old fatigue. At the line it was all about the ‘new’ guard and how, the best in the world had been beaten by supposedly unknown (unknown to those who don’t follow the sport) runners! 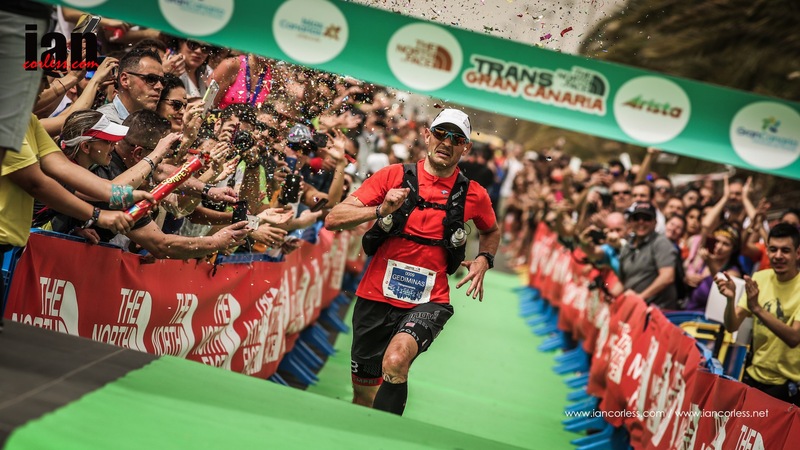 Sondre Amdahl after a great 2014 and second place at HK100 had relocated to Transgrancanaria so that he could train specifically for the 2015 edition. Looking strong before the race, it was no surprise that he took the front early and pushed hard… maybe too hard? Leading over the first 30km’s, Sondre was executing the perfect race and behind it was wide open. Yan Long Fei was certainly the surprise (for me anyway) runner in the early stages. I obviously don’t doubt the ability of the 2:14 marathon runner but from past experiences I felt that the technical terrain wouldn’t suit him. Not so! He has obviously been working hard and it showed. 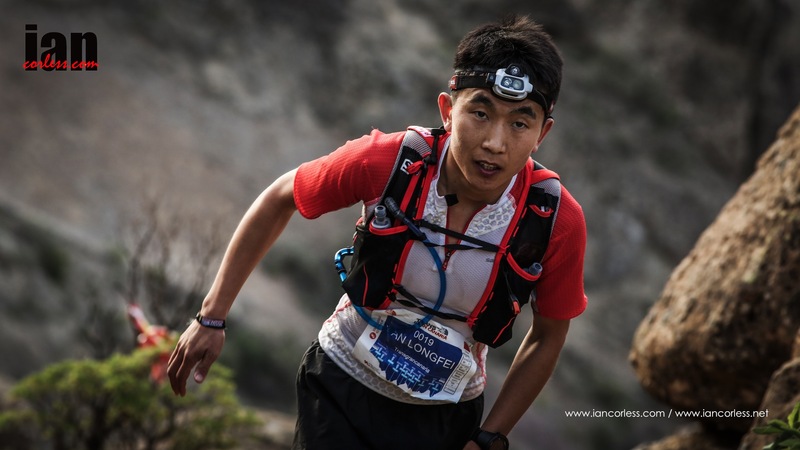 Running in second place over the most technical part of the course he finally cruised past Sondre to take the lead and it was looking like that Yan may follow up victory at HK100 with a back-to-back win with Transgrancanaria. It was not to be. Unfortunately as he pulled out at Garanon whilst still in first place. He was complaining of headaches: a sure sign of severe dehydration. 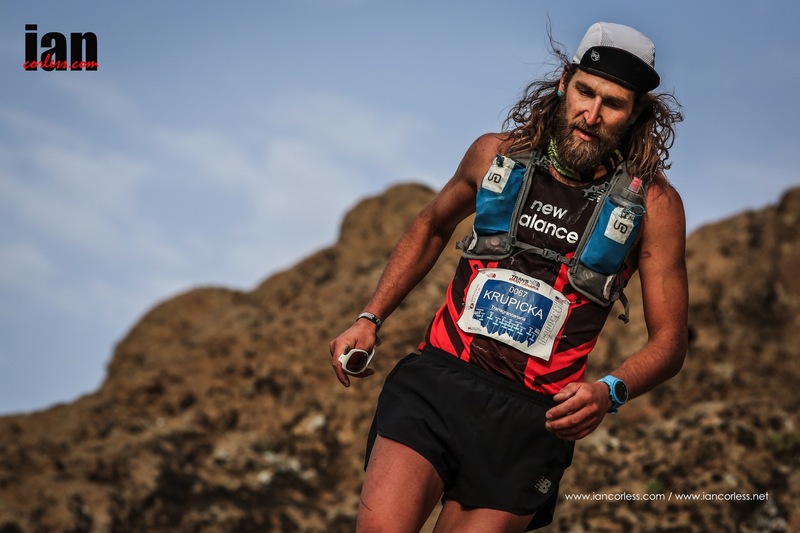 The door was open and pre race favourites Iker Karrera and Anton Krupicka were closing the gaps despite having their own issues. Anton had gone of course a couple of times and Iker was complaining of stomach issues… Iker’s problems persisted and eventually resulted with his withdrawal from the race when a podium place looked likely. 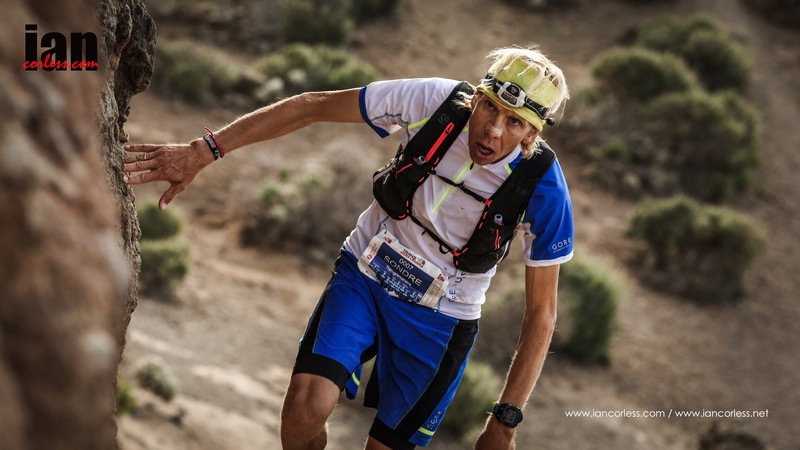 Johan Lantz and Didrik Hermansen had prepared on Gran Canaria pre race with Amdahl. Amdahl had gone on the record to say that both could cause a stir within the race and he was right! Didrik and Johan had run the early stages together easing themselves into the race and ignoring the faster running at the front. Johan however had been struggling with back pain from early on, it didn’t stop him though and he eventually closed to third place behind Yan Long Fei and Sondre Amdahl. What followed is quite remarkable… without warning while running a section of road his femur broke! Yes, he broke his leg! Didrik Hermansen like Johan was executing a perfectly paced race and after Cruz de Tejeda he moved into second place and he held on to this place to arguably create the biggest surprise of the race crossing the line in 14:30:07. Antoine Guillon from the ever-present WAA Team completed the podium ahead of the early race leader, Sondre Amdahl who had done extremely well to recover from his early efforts. 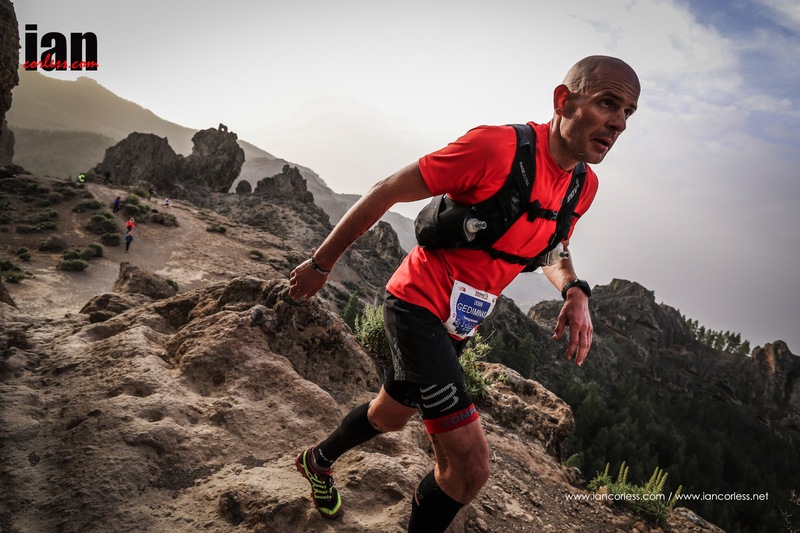 The 2015 race has been called the toughest edition of the race because of the wind, cold temperatures during the night, the heat of the following day and the calima. However, I can’t help but think that the 2013 edition with torrential rain was harder? 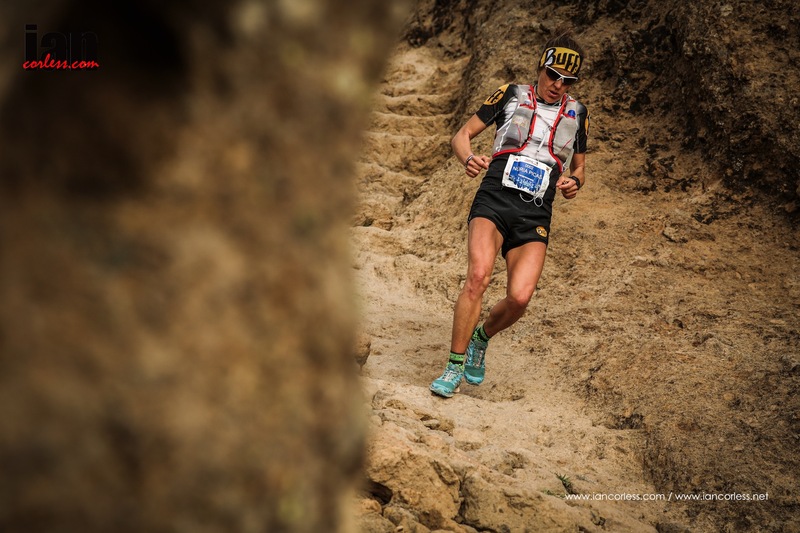 Certainly conditions and the combination of a tough 125km’s of trails took it’s toll; Nikki Kimball, Fernanda Maciel, Iker Karrera, Joe Grant, Pau Bortolo, Yeray Duran and so many more were forced to withdraw. The 2015 edition will be remembered though for the rise of Gediminas Grinius, Didrik Hermansen and Sondre Amdahl. Lets not forget Dong Li and Yan Long Fei too. It’s a great time for lovers of trail, mountain and ultra running. 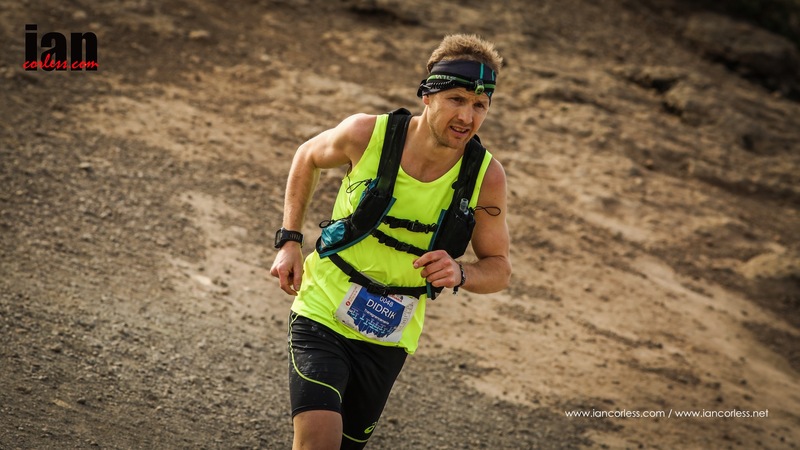 The next race in the UTWT series is Marathon des Sables and I will be working on that race each day providing daily images and reports to keep you all up to date. This entry was posted in Uncategorized and tagged 2015, amadahl, Antoine Guillon, Buff, chaverot, Didrik Hermansen, Dong Li, Gediminas Grinius, gore, Grant, Huser, Inov 8, Inov8, Johan Lantz, karrera, kimball, Krupicka, long fei, Maciel, Pau Bortolo, Picas, Salomon, TDG, transgrancanaria, TransGranm Gran Canaria, Yeray Durán by talkultra. Bookmark the permalink.